Today we gave the Lonely Planet architecture walking tour another go that we had to abandon when my phone died. 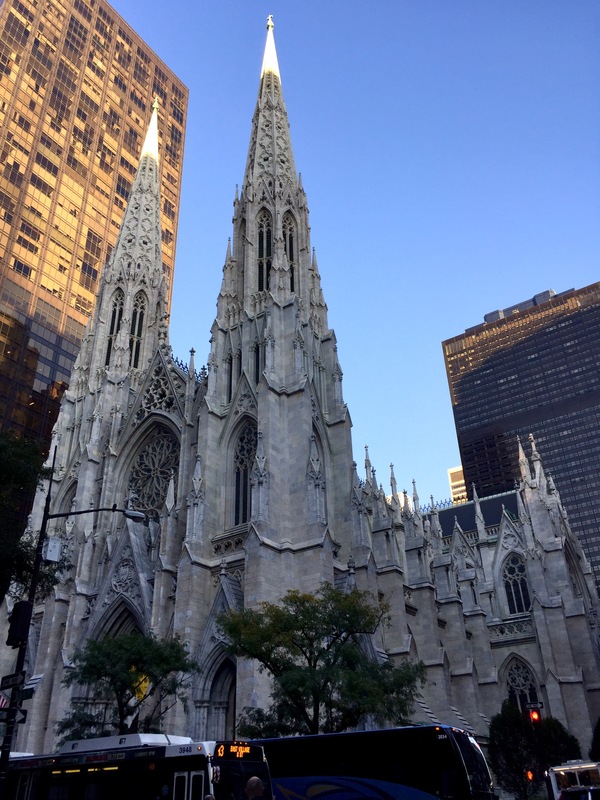 We started at St Patrick’s cathedral, a stunning church on the corner of 51st St and 5th Ave and right by the Rockerfeller Center. It’s worth taking a look inside at it’s huge stained glass windows and organ. 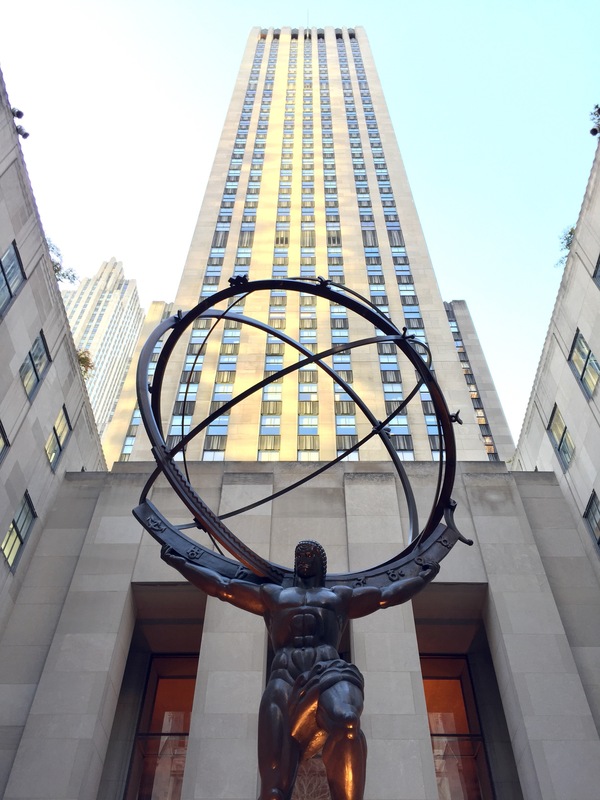 Next on our list was the famous Rockerfeller Center – I had no idea how big it actually is. I expected one tall building and didn’t realise it’s a whole complex that spans multiple blocks. 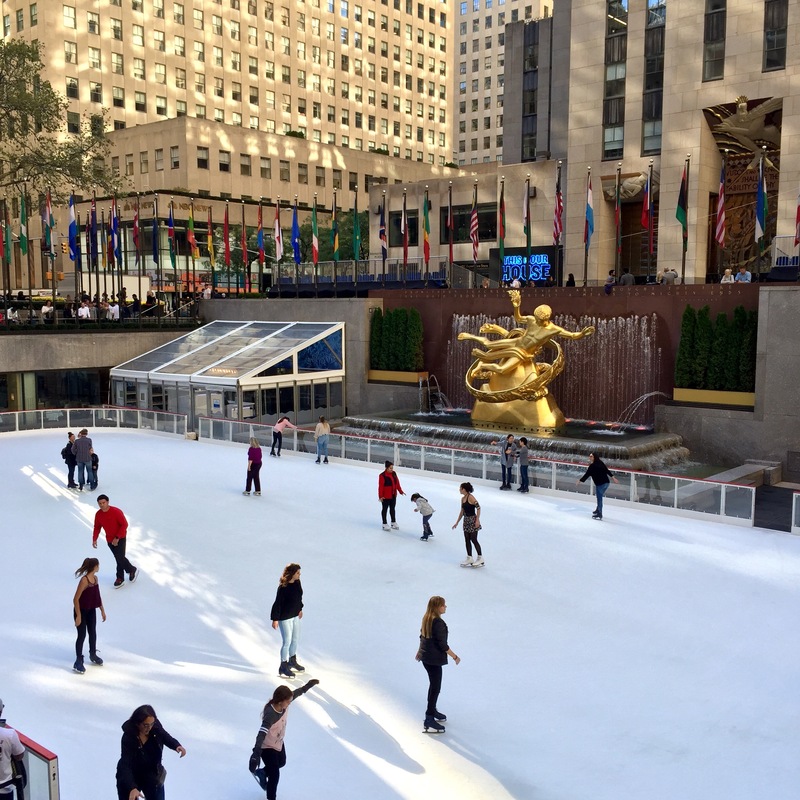 There’s a shopping mall, restaurants, and the ice rink too. I enjoyed their Lego shop where they have built huge lego models of the iconic Rockerfeller Center statues. 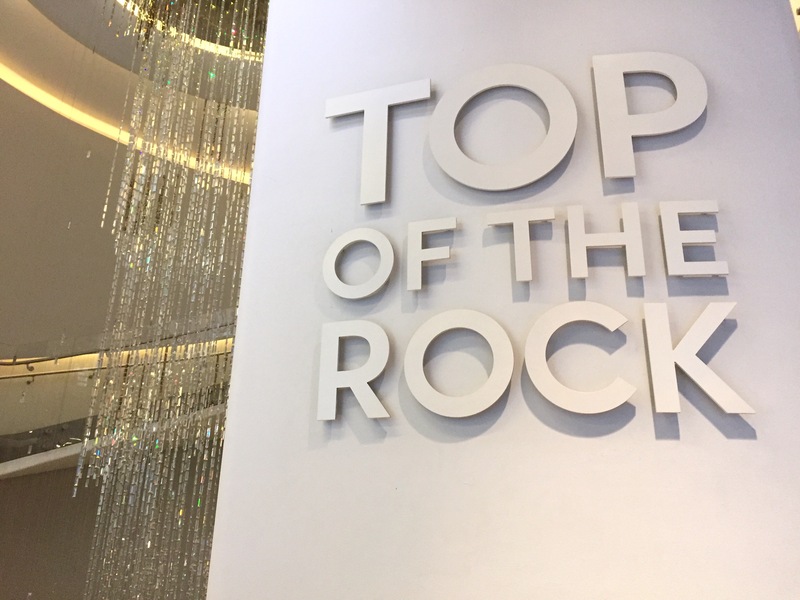 We bought our tickets for Top of the Rock, to visit the viewing platform, which loads of people recommended to us rather than going up the Empire State Building because you can see the Empire State Building from it. You can also see down to Central Park on the other side which stretches out like someone has laid a rug over the city because it’s so regular in shape. You do have to factor in queues to get up and back down, but the view is worth waiting for. We added an additional visit within 24 hours to our tickets so we could come back and see the nighttime views. 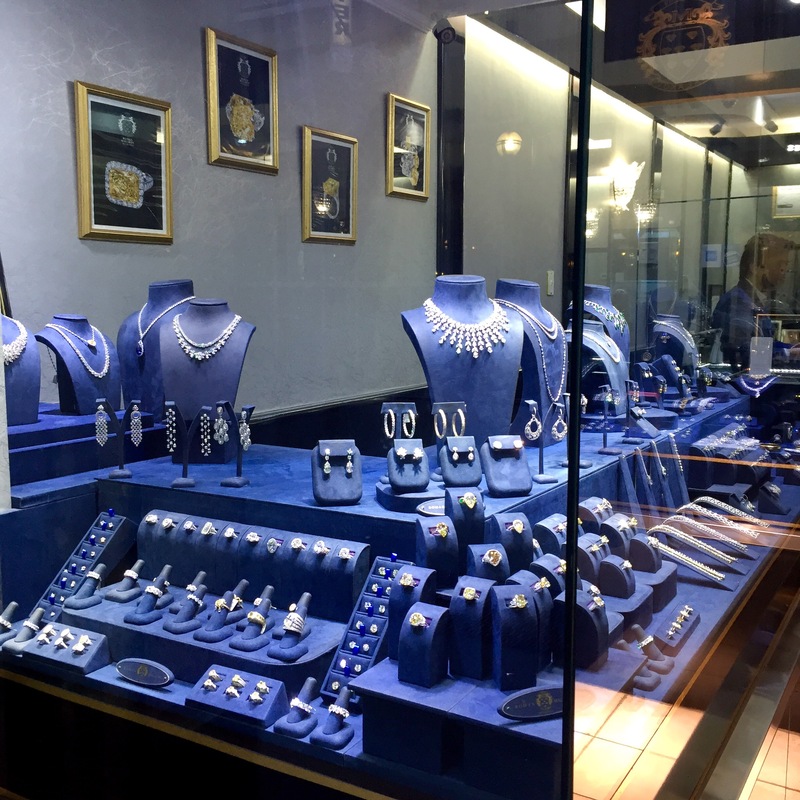 Our walk took us through New York’s answer to Hatton Garden with sparkling diamonds glittering from almost every shop front. 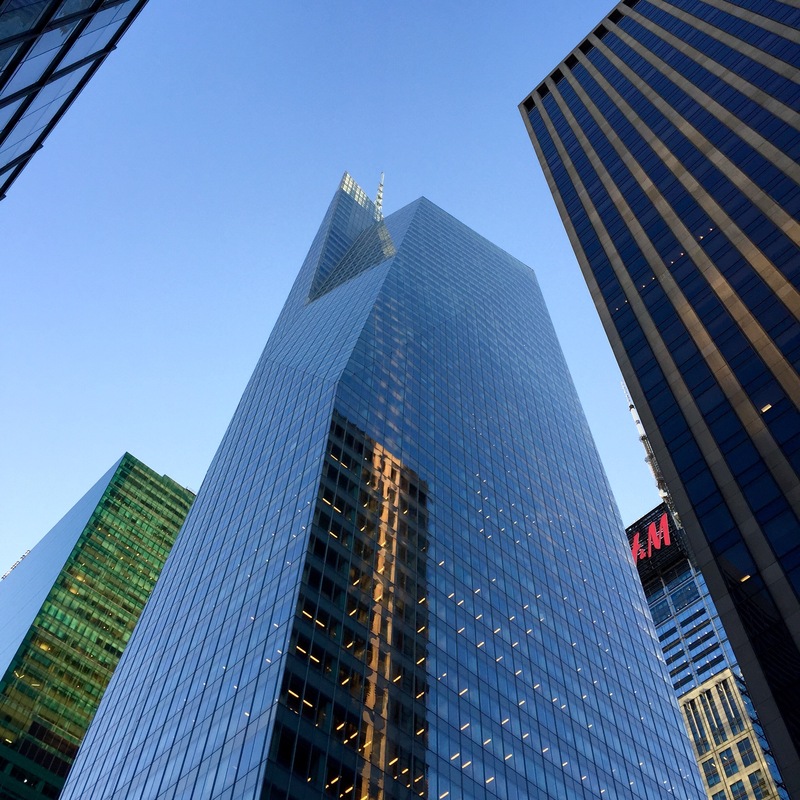 The Bank of America building is the fourth tallest building in New York and a more modern example of great architecture. 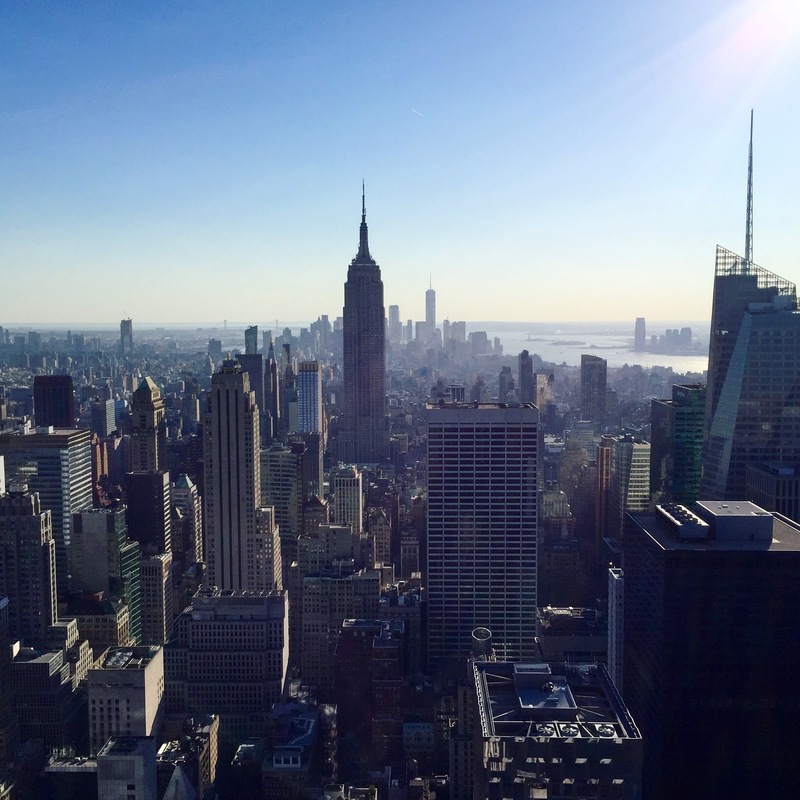 You get a great view of it from the Top of the Rock as well as the Empire State Building. During much of our walk we could see the Chrysler Building with its Art Deco design and ornate tower peeping above the other buildings. We didn’t actually make it inside, but apparently it has an impressive Art Deco lobby with a grand ceiling mural. After dinner and once it was dark, we headed back to Top of the Rock for the nighttime views. We didn’t have anywhere near as long to wait to go up this time, but there were a lot of people at the top who we think must have been there for sunset views. 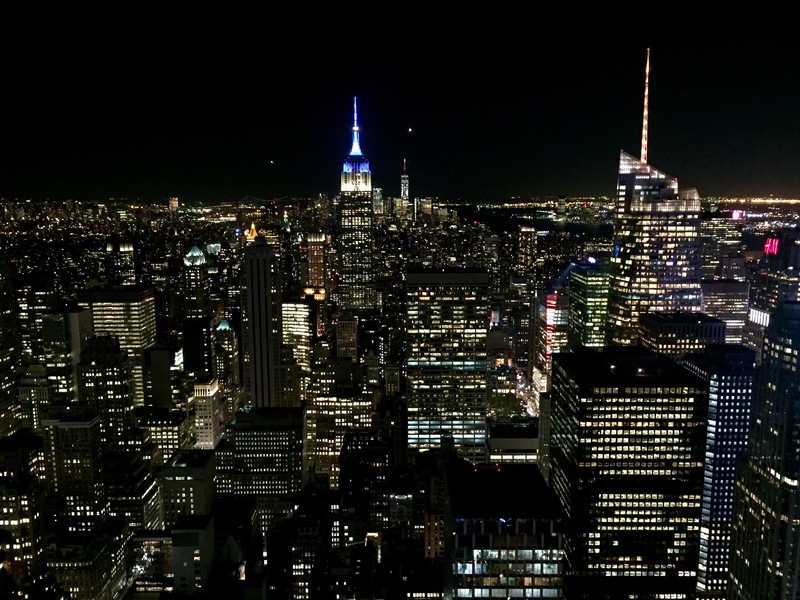 The city takes on a whole new persona at night when the lights glow across Manhattan, and being able to see it from the top of one of the tallest buildings is unreal.